Organising a huge event like the FIFA World Cup is a great evidence of Brazil’s economic growth, and the country is now very strong and competitive on the global arena. There’s no doubt that Brazil is very appealing to global business players, who want to make new massive investments that will, in turn, accelerate further development in different segments of the Brazilian economy, such as Pharma and Consumer Health Market. 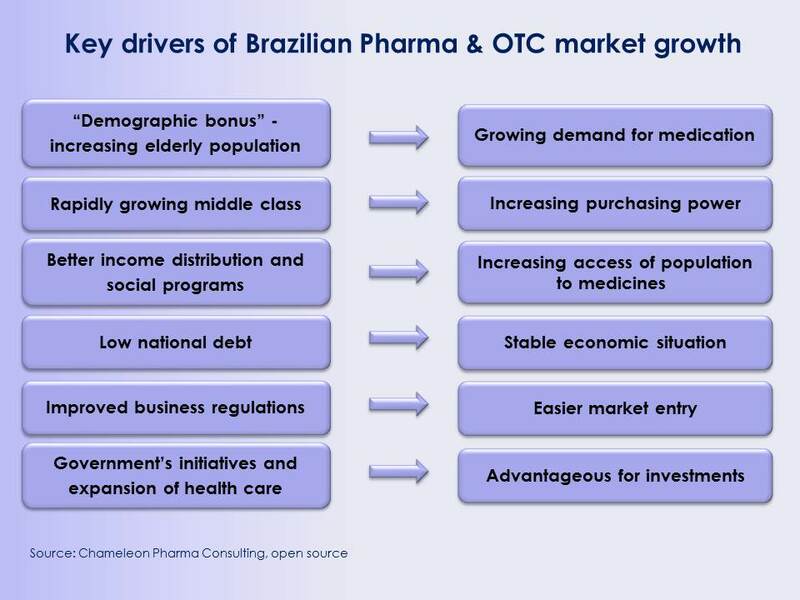 Don’t miss a big opportunity to make a profit serving Brazil’s Pharma market, the second-largest in the emerging world, and its growing middle class! Many multinational Pharma companies have intensified their participation in the Brazilian Pharma market, and for good reason: Brazil enjoys the biggest share (40%) of the Latin American Pharma market. Currently one of the fastest-growing healthcare markets, it has always stayed robust and resilient even in periods of low economic activity. With its retail pharmaceutical market valued at US $26 billion in 2012, Brazil has currently the world’s eighth-largest drug market, and it is second among emerging countries after China.